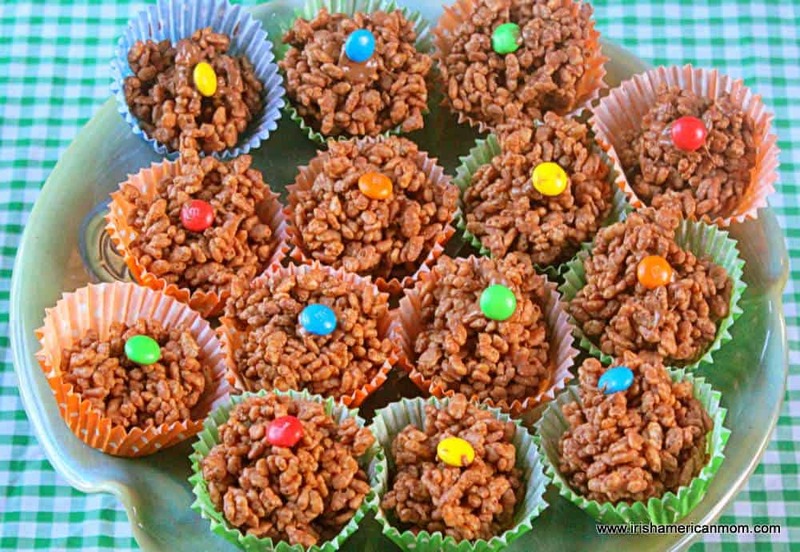 Rice Krispie Buns are part of every Irish childhood. 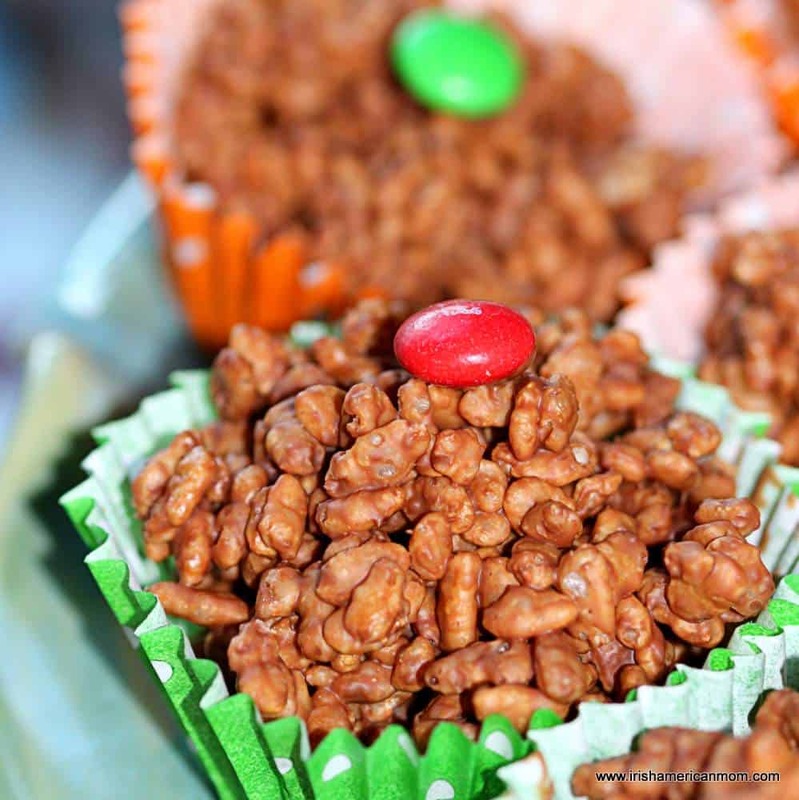 These little chocolate crispie treats are the centerpieces of Irish birthday parties, and a staple at school fund raising cake sales. 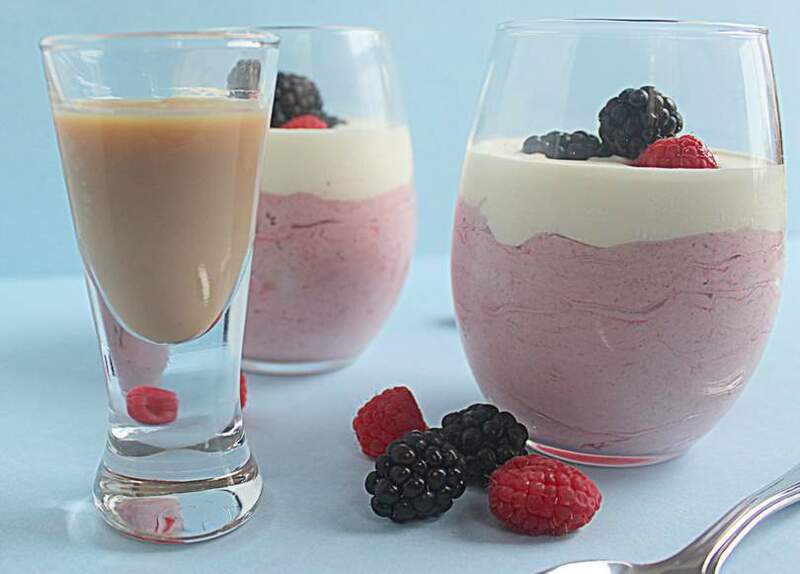 They’re easy-to-make, no-bake Irish children’s favorites. Now when I first moved stateside I was surprised to discover American Rice Krispie Treats are something entirely different. The American variety is an extremely sweet, sticky, marshmallow and rice cereal square. Not a morsel of chocolate to be found. In Ireland, America’s beloved Rice Krispie Treats are now available to be purchased as ‘Squares Bars’ made by Kelloggs. But they’ll never replace our Irish Rice Krispie Buns. These are a simple, but delicious mixture of melted chocolate and rice cereal, shaped in a muffin pan and given the title ‘bun.’ No batter or dough required for these famous buns. 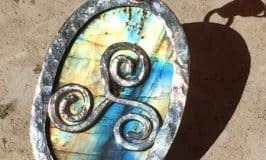 Check out how to make them in this short video. 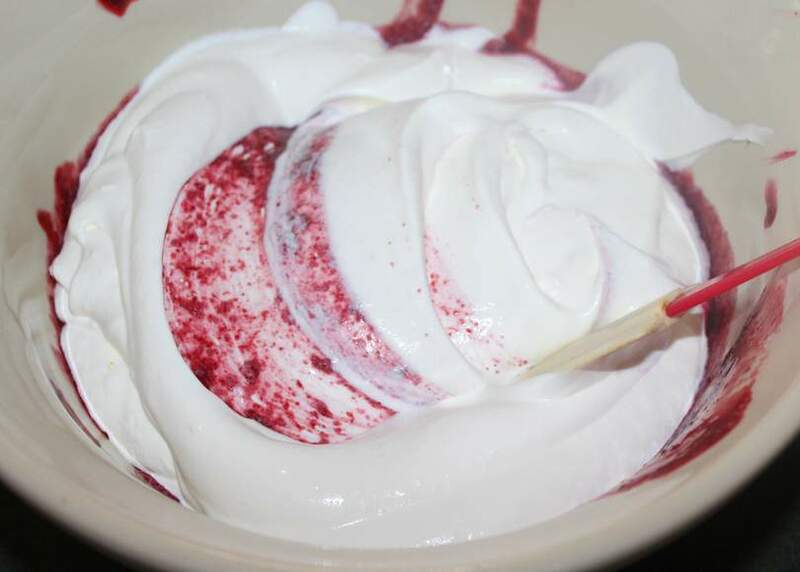 You’ll also find the printable recipe at the end of this post. 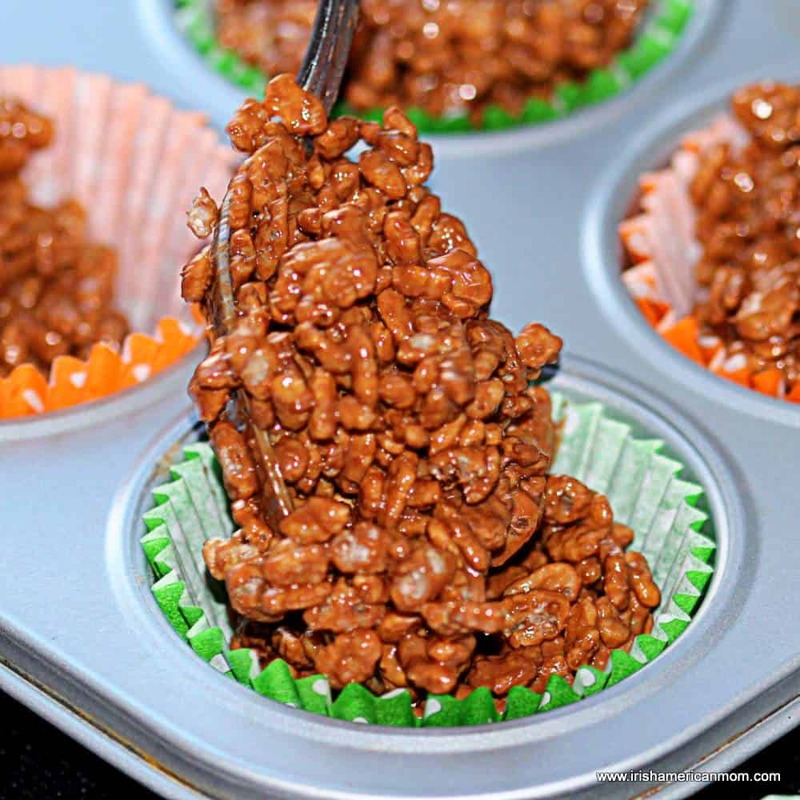 Rice Krispie Buns could not be easier to make. Melted chocolate mixed with rice cereal, that’s all that is required, and if you want to make them a little bit fancy, you can add a candy on top. Milk chocolate rather than dark chocolate is usually chosen, especially for children. 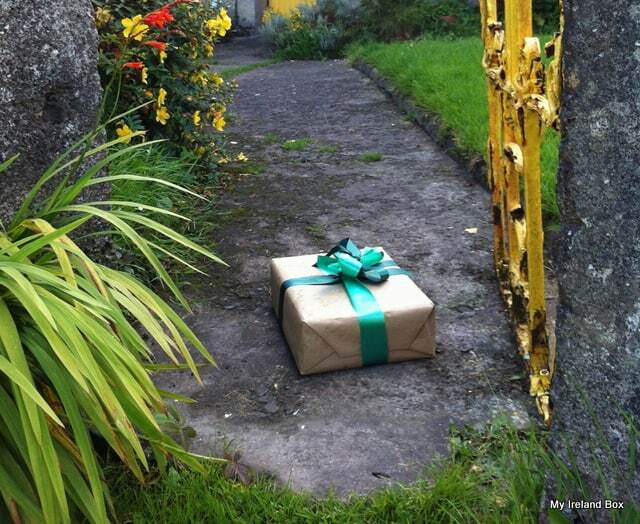 When I was a little girl in Dublin in the 1970’s there were no chocolate chips to be bought. Slabs of cooking chocoate were sold in supermarkets. Or if you were really posh, you could melt bars of dairy milk chocolate. Times have changed in Ireland and chocolate chips are easily found in grocery stores. They’re sold in 4 ounce bags not the larger bags sold in America. The key to good rice krispie buns is getting the ratio of chocolate to cereal correct. Too little chocolate and the rice krispies will shine through, yielding a light colored bun. 2 cups of rice cereal to 4 ounces of chocolate chips. That translates to 6 cups of rice cereal for an 11.9 ounce bag of chocolate chips, as sold in America. Now that will yield around 36 rice krispie buns. I usually use 4 cups of cereal to 8 ounces of chocolate or roughly 2/3’s of a bag of chocolate chips to make about 24 buns. I don’t bother weighing the chocolate chips but eyeball two-thirds of a bag. You can’t go wrong with a little extra chocolate. Place muffin case liners in two trays. 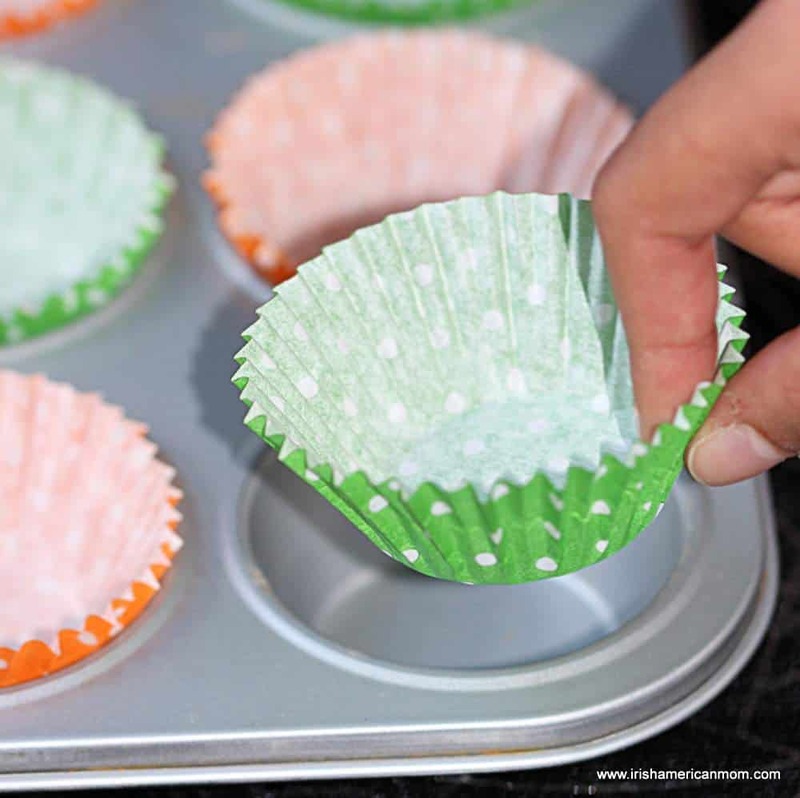 You don’t necessarily need to use a muffin tray and can simply fill the liners with the mixture. However, I find the metal tray helps the buns to maintain their shape as they harden and become firm. Melt the chocolate chips in a heat proof bowl over a saucepan of boiled water, otherwise known as a bain marie. 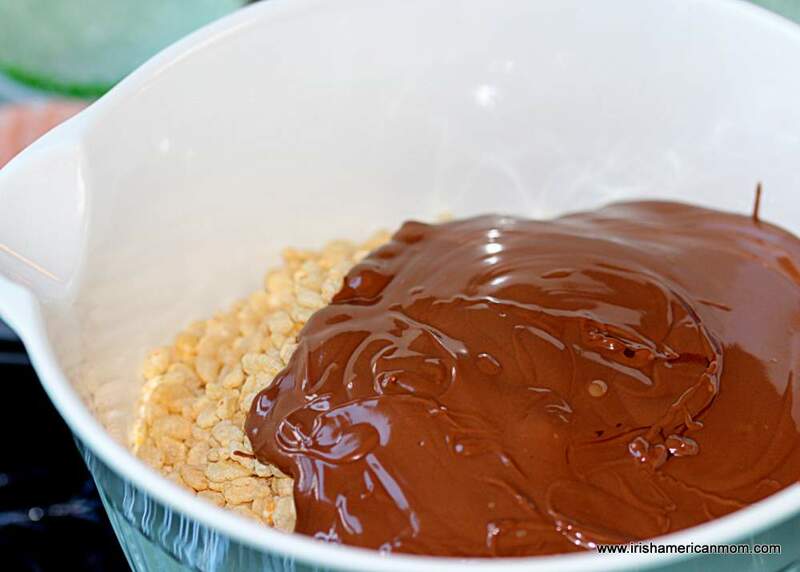 Pour the melted chocolate over the rice cereal in a large bowl. Protect your fingers with oven gloves as you handle the hot bowl of melted chocolate. Use a spatula to scrape all the melted chocolate out of the bowl. Use a spatula to mix the melted chocolate and rice cereal together. Be gentle as you combine the ingredients. If you stir too violently the rice cereal will crumble and your buns will lack their distinctive cereal air pockets. You need to blend the chocolate and cereal thoroughly to ensure all of the rice krispies are fully coated in chocolate. Scoop down into the bottom of the bowl to mix the cereal hiding way down there. Spoon the mixture into the lined muffin cases. The number of buns yielded by this recipe depends on how much you fill each muffin compartment. Top each bun with a Smartie, if you’re in Ireland, or an M&M if you’re in America. Set the buns aside to cool and allow the chocolate to harden again. And that’s all there is to it. 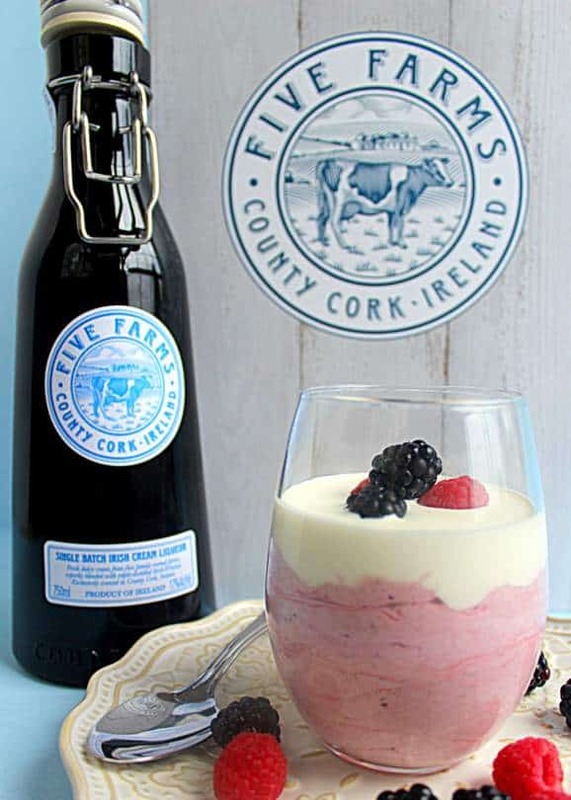 Ireland’s favorite children’s treat are beyond easy to make, but will never lose their appeal. 24 coated chocolate candies like M&M's. 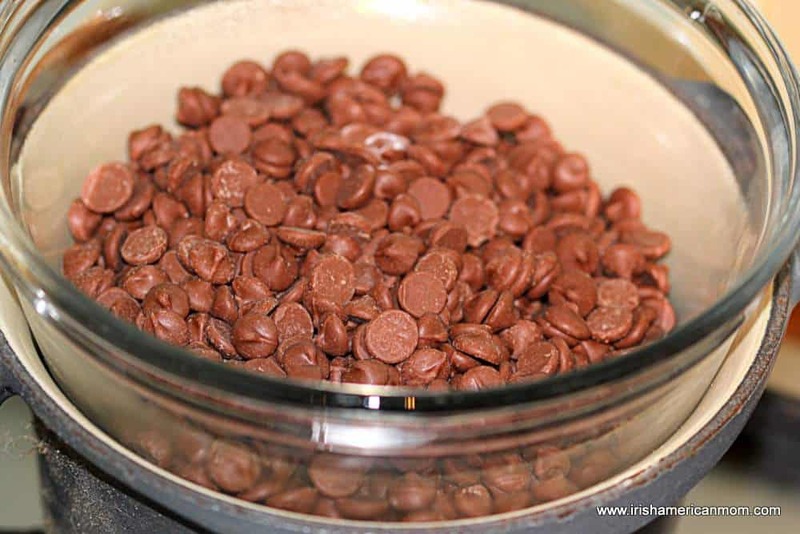 Melt the chocolate chips in a heat proof bowl over a saucepan of boiled water, or bain marie. 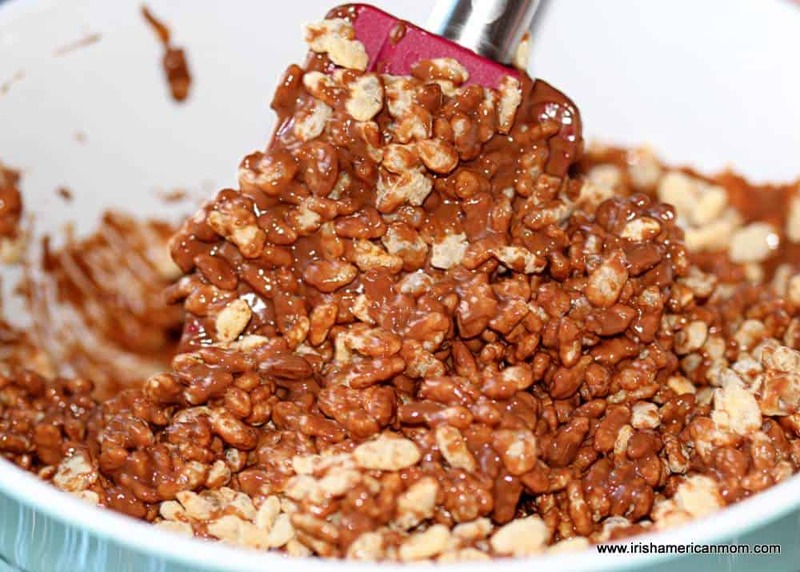 Use a spatula to mix the melted chocolate and rice cereal together to fully coat the cereal in chocolate. Top each bun with a candy. Set the buns aside to cool completely before serving. When some Irish mother’s hear there is a cake sale or bake sale at their child’s school they slave for hours over a hot stove baking their finest confectioneries. Little do they know, the treats that sell out first and are in highest demand are these no-fuss, easy peasy rice krispie buns. 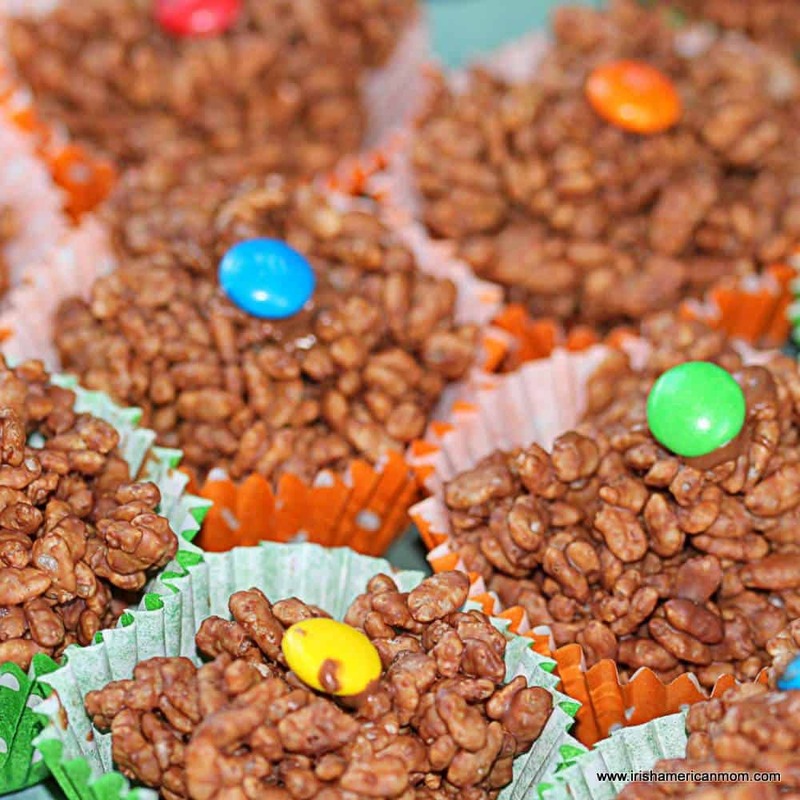 What’s a cake sale without rice krispie buns. 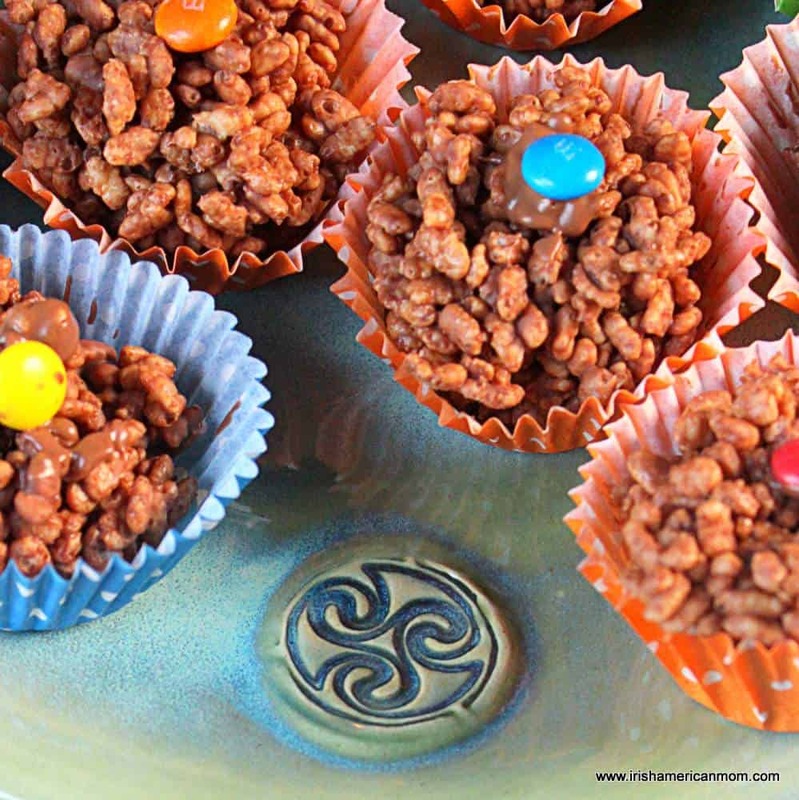 At Halloween I love to get creative and I use this basic Irish rice krispie bun recipe to create chocolate spiders. These make a lovely center piece for Halloween get togethers. Here’s how I make my Chocolate Rice Krispie Spiders for Halloween. 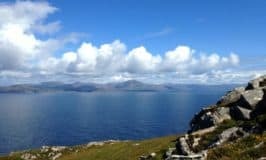 For those of you who were born in Ireland, I hope this post brought back happy memories of childhood birthday parties, and for all my Irish American readers I hope you enjoyed this little tutorial about Irish Rice Krispie Treats. 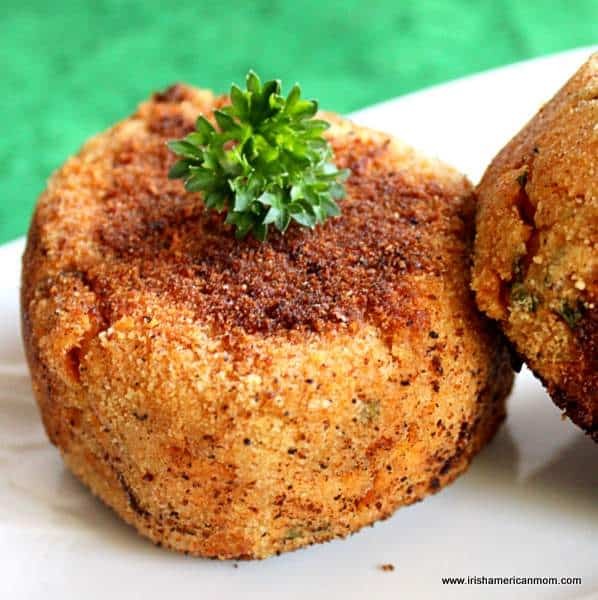 When quick and easy is the order of the day, then salmon fish cakes are perfect for your dinner menu. I’m not talking about complicated cook-from-scratch fish cakes made by first poaching fresh salmon. 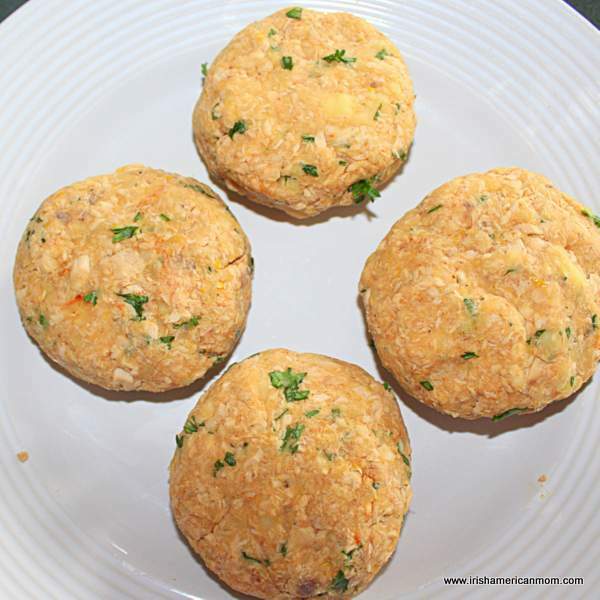 I’m talking about budget-friendly, tasty fish cakes made with canned or tinned salmon. Have you ever looked at the clock and realized it’s nearly 6 o’clock and you haven’t even started making dinner? I mean you haven’t even contemplated what on God’s good earth you’re going to toss together to feed all the hungry mouths in your family. You stare into the refrigerator, praying for inspiration. I know I should plan our weekly dinner menu in advance, but I’m afraid I’m not always so organized. I try, but many an evening I open the fridge door hoping dinner will just jump out and cook itself. But never fear this recipe saves the day, when fridge supplies run low, and your budget needs an inexpensive dinner solution. 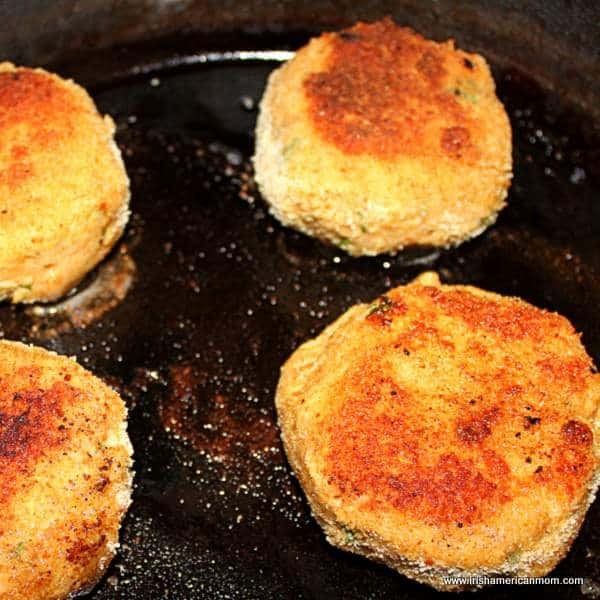 These are easy peasy salmon fish cakes. They’re great in summer with a side salad or in winter served with fried potatoes and veg. My quick dinner solution can be found sitting in my pantry because I always make sure there are a few cans of salmon waiting for me on the shelves. Leftover mashed potatoes are also usually sitting in my fridge, and if not, it’s easy to boil a few for this recipe. 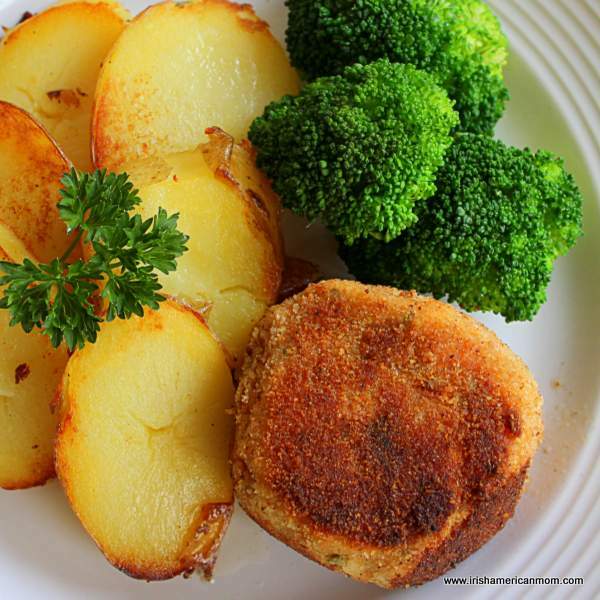 And so here it is, my budget friendly salmon fish cakes recipe …. Here’s a short video summarizing all the steps. 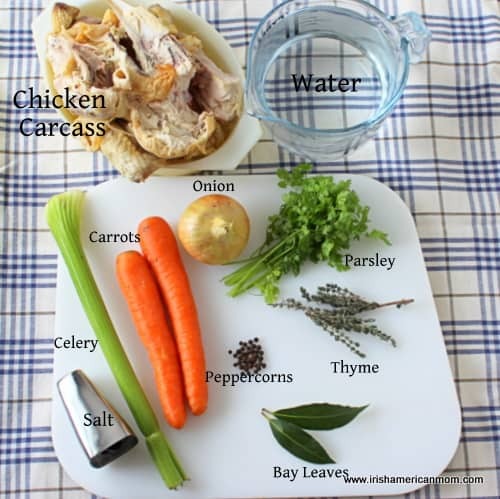 And just read on for step-by-step photo instructions to help you make this delicious Irish style dinner. Here I’ve provided step-by-step photo instructions to help assemble these delicious fish cakes. 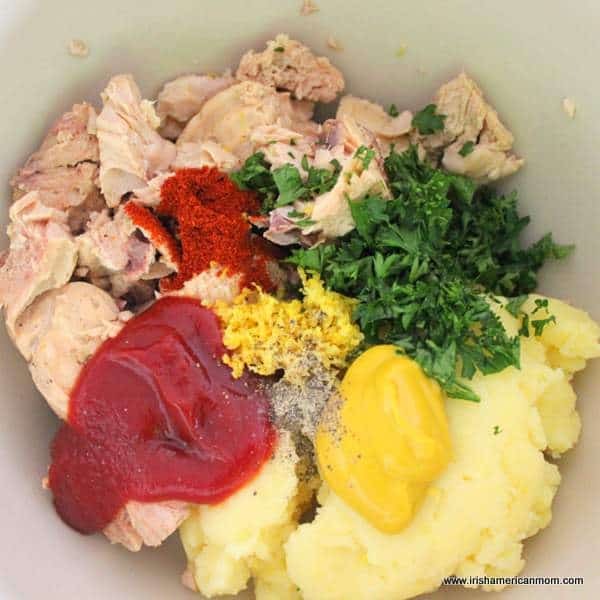 Add the mashed potatoes, salmon, ketchup, mustard, parsley, lemon juice and zest, salt, pepper, and paprika or cayenne pepper to a large bowl. You can use as much paprika or cayenne pepper you think your palate can tolerate. I cook for an Irish family so, in many a reader’s book, I may skimp on the spices. Mix everything together to combine. 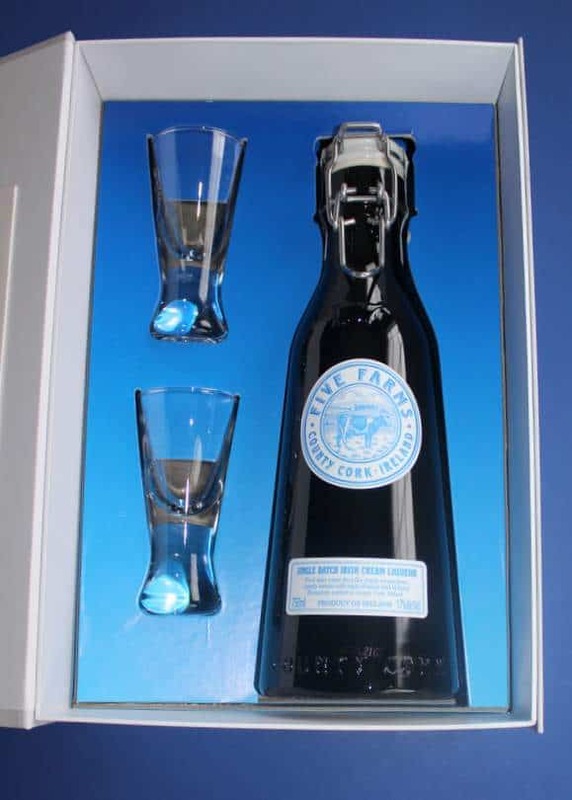 Here’s how it looks …. 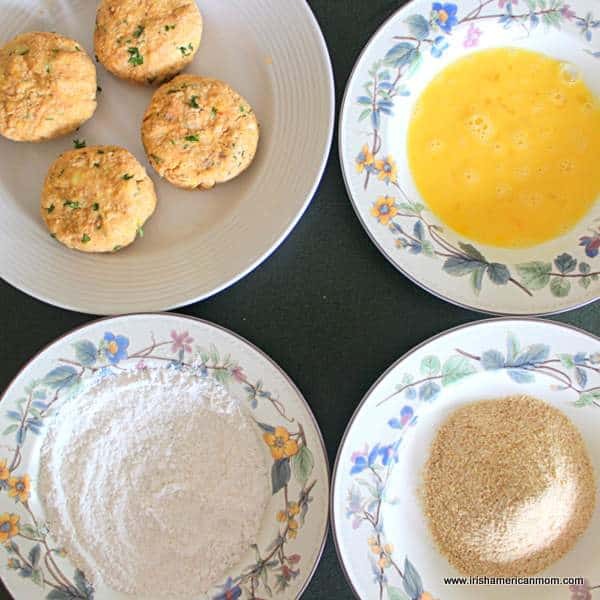 Divide the mixture in four and shape into patties using the palms of your hands. I find digging in and using my hands is the only way to form neat, uniform patties, ready for coating. Put the flour, egg, and breadcrumbs into three separate dishes. 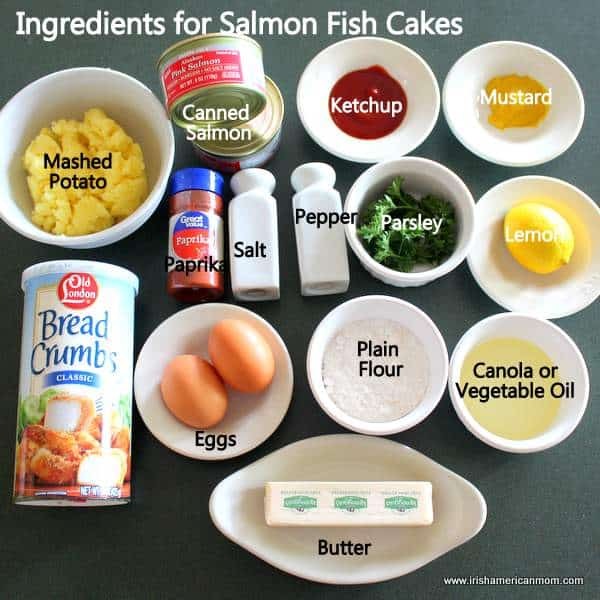 Coat each salmon cake in flour and dust off any excess. Dip in the egg wash, then finally coat in breadcrumbs. Flour always comes first to create a dry coating to help the egg wash adhere to the patty. 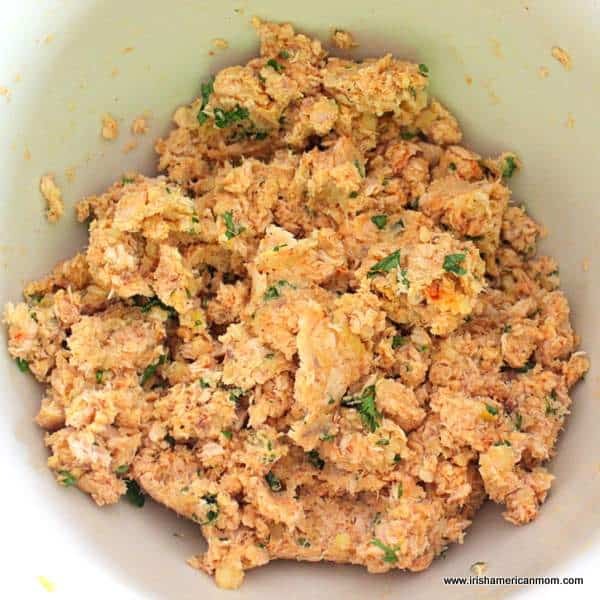 The wet egg wash then allows the breadcrumbs to stick. 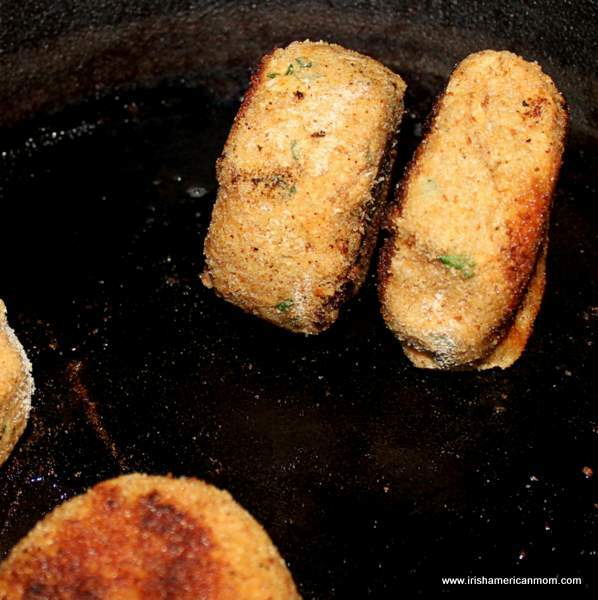 The picture above shows the fish cakes all ready for frying. Heat the oil and butter in a large skillet. Fry the cakes for 4 to 5 minutes on each side until golden brown and heated through. 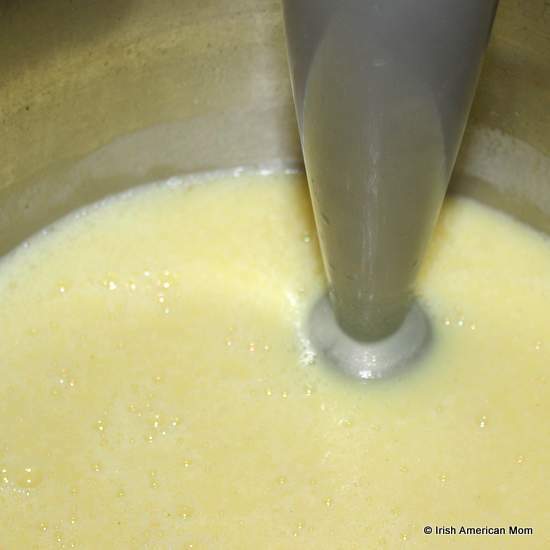 Once the oil is warm, reduce the heat to medium to low so the cakes can heat through without burning on the outside. Low and slow is the name of the game, especially when the salmon cakes are thick. I like to add butter to the oil for extra flavor. I made four large deep salmon cakes, so I decided to turn them on their sides to brown the edges and ensure they were heated thoroughly. 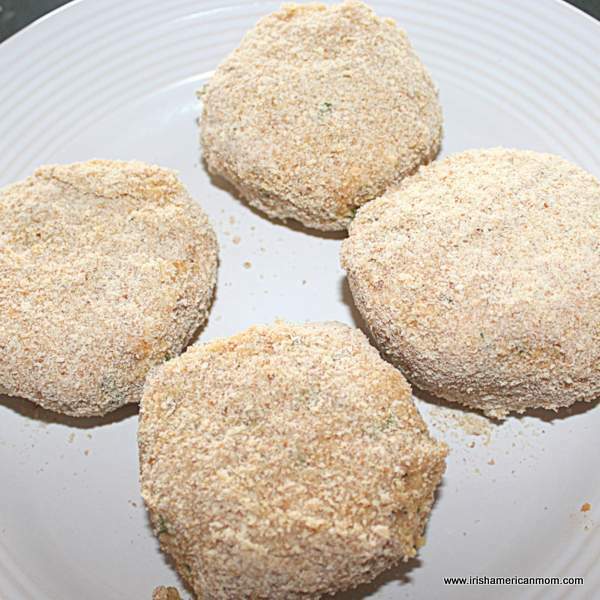 If you prefer thinner salmon cakes, you can make the patties much smaller. 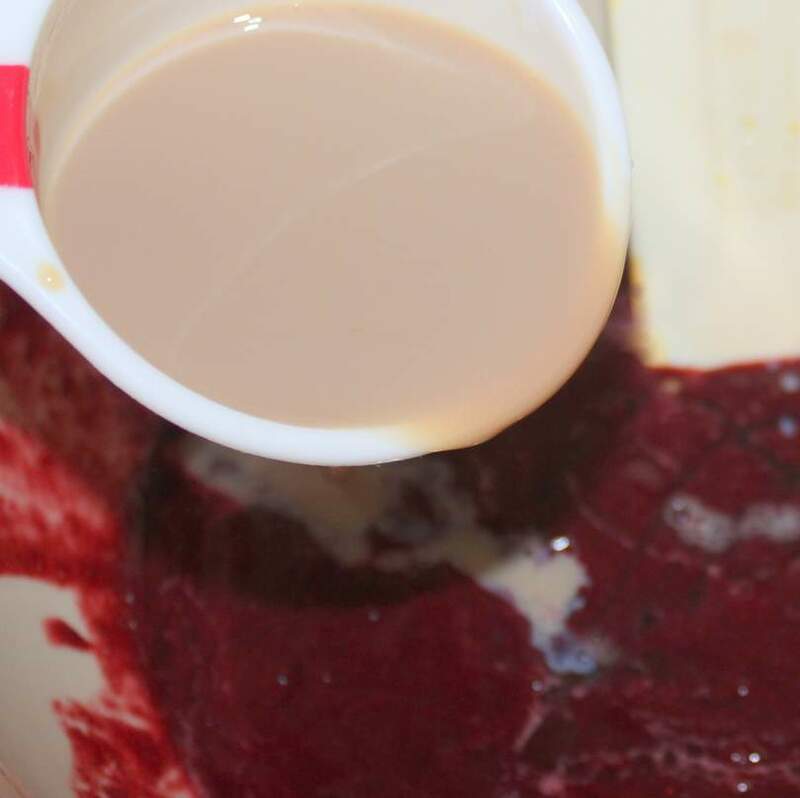 Divide the fish mixture in eight rather than four before forming the cakes. That way it’s easier to cook them through without burning the outer surfaces. 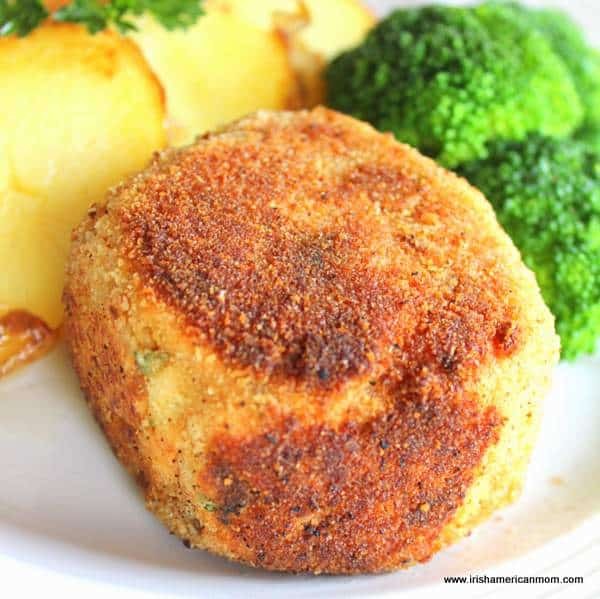 These salmon cakes are delicious served warm with lemon wedges and a side salad. 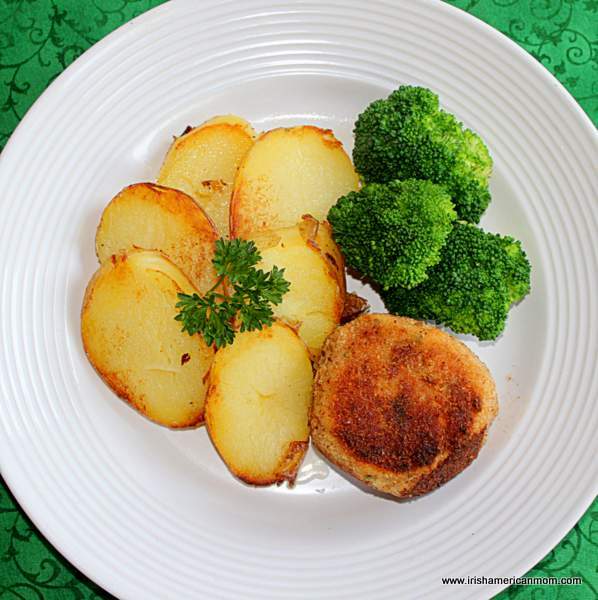 But my Irish family prefers to eat these cakes with fried potatoes and a warm veggie like broccoli. Now that’s what I call a good Irish dinner. A little brown sauce on the side, and you’re in salmon cake heaven. Here’s the printable recipe for anyone who would like to add this to their printed recipe collection. Add the mashed potatoes, salmon, ketchup, mustard, parsley, lemon juice and zest, salt, pepper, and cayenne pepper to a large bowl. Coat each salmon cake in flour and dust off any excess. Dip in egg, then finally coat in breadcrumbs. 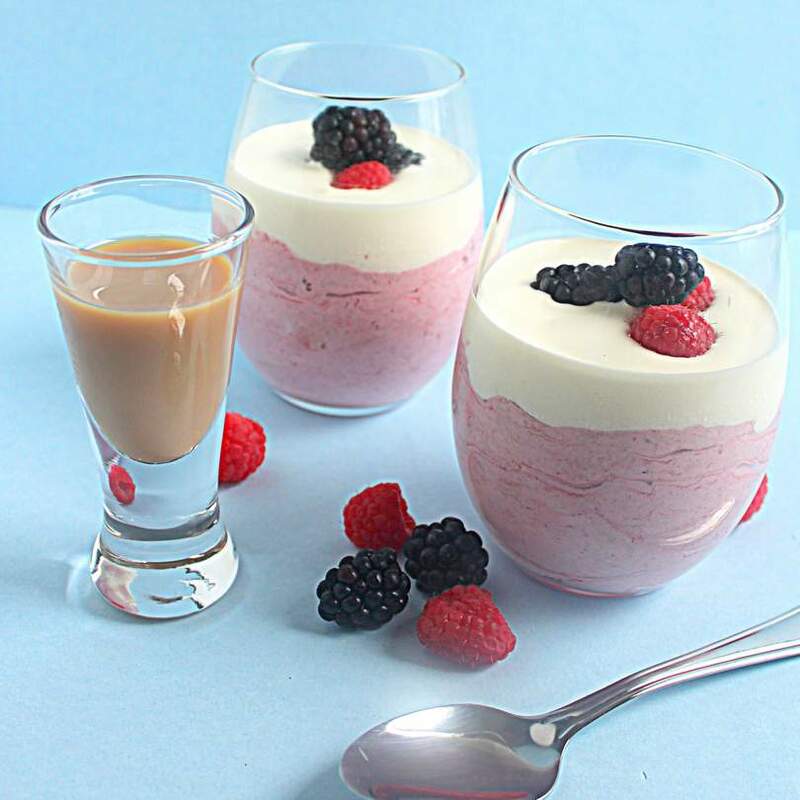 I hope you enjoy this easy, budget friendly, pantry inspired recipe. It’s a quick and hassle free way to eat fish. I try to always stock a few tins of salmon in my pantry. 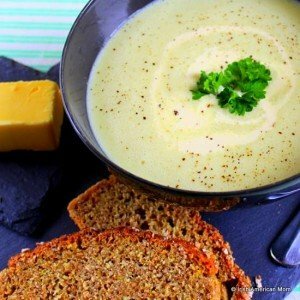 Irish potato soup uses simple ingredients, which in years gone by were easily available in rural Irish kitchens. When I say this soup is easy to make, I really mean it. 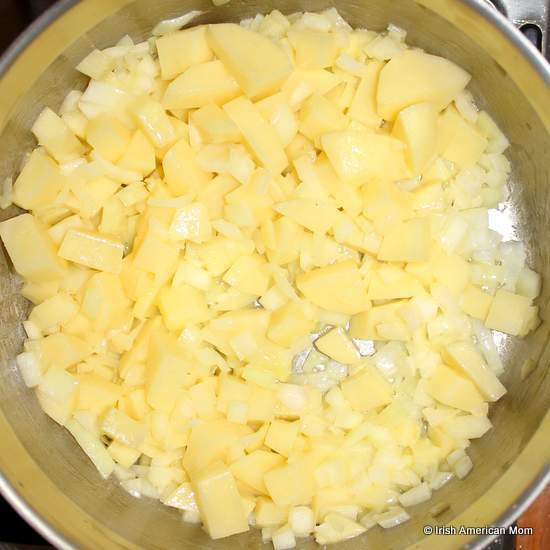 There are only seven ingredients – potato, onion, butter, stock, cream, and salt and pepper to taste. 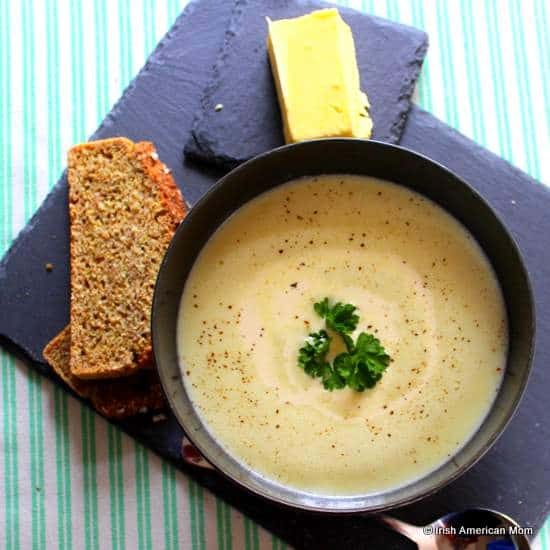 My recipe today is for a very traditional Irish potato soup. 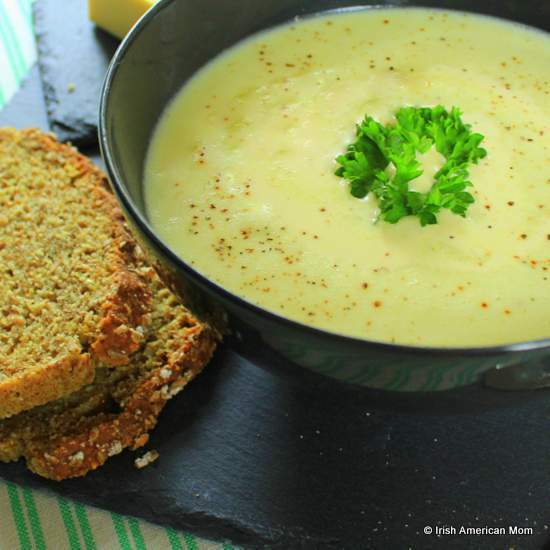 You may be more familiar with an Irish potato and leek soup. 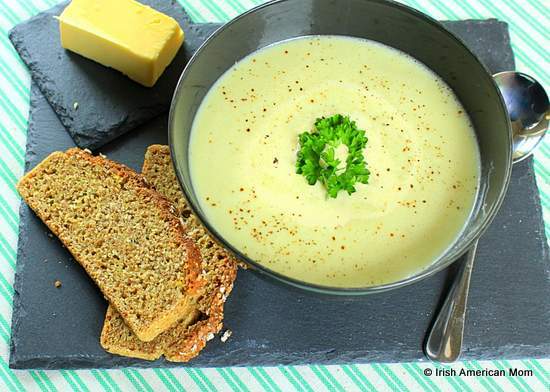 But many Irish housewives skipped the leeks and made a simple potato soup whenever the cupboard was relatively bare. Butter and cream were consistently available on dairy farms, and if potatoes were not homegrown, a “four stone bag of potatoes” was always on the shopping list. 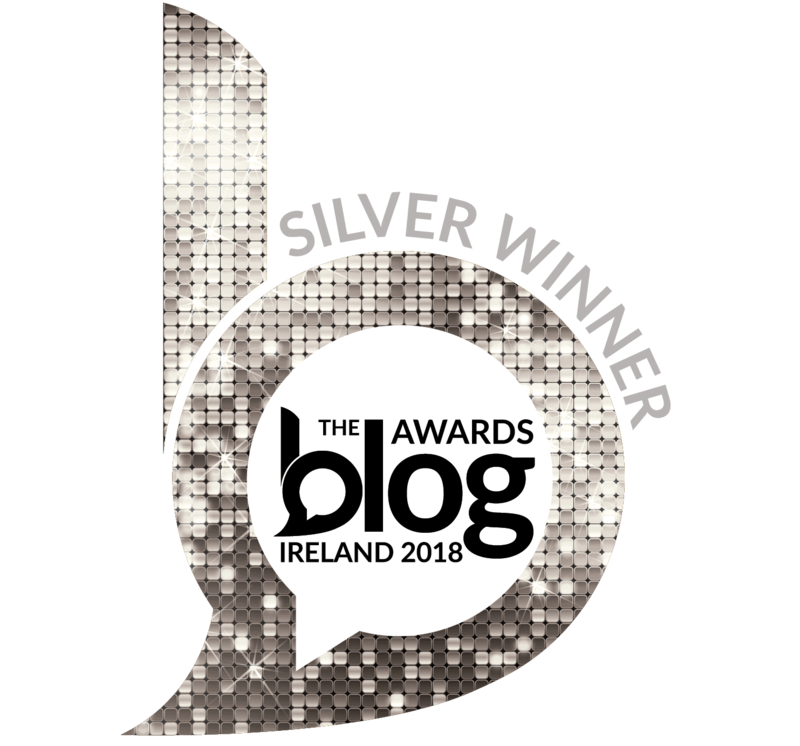 And so here’s my recipe for a traditional Irish potato soup. The first step is to prepare the vegetables. Peel and dice the onion into small pieces. Peel the potatoes and dice them into pieces about 1/4 inch cubed. You don’t have to be precise, since the soup is eventually puréed. 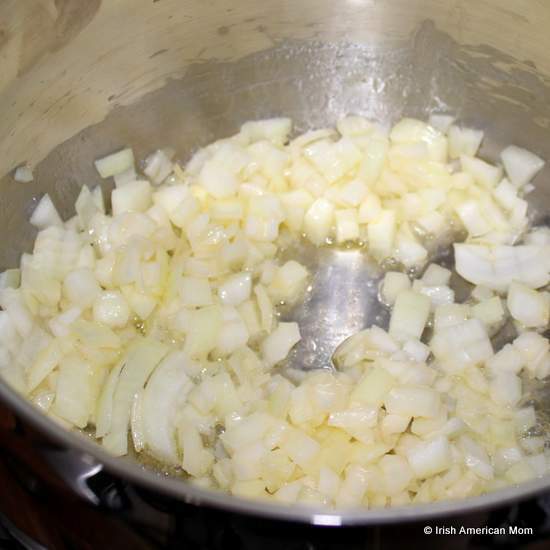 Melt the butter in a large soup pot and toss in the diced onions. Cook for about a minute. Add the potatoes and mix well to coat with butter. Cover the pot and sweat the vegetables for 10 minutes over medium heat. Shake the pot every few minutes to ensure the vegetables don’t stick. Do not brown the onions. You can learn more about sweating vegetables in my soup making tips post. Add the chicken stock and bring to boiling point. Lower the heat and simmer the soup for about 20 minutes until the potatoes are tender. 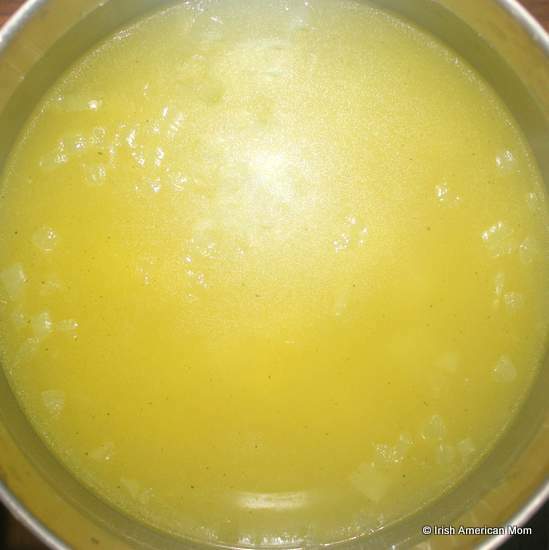 If you wish you can use vegetable stock for this soup to create a vegetarian soup. It’s also gluten free, since no flour is used to thicken this soup. 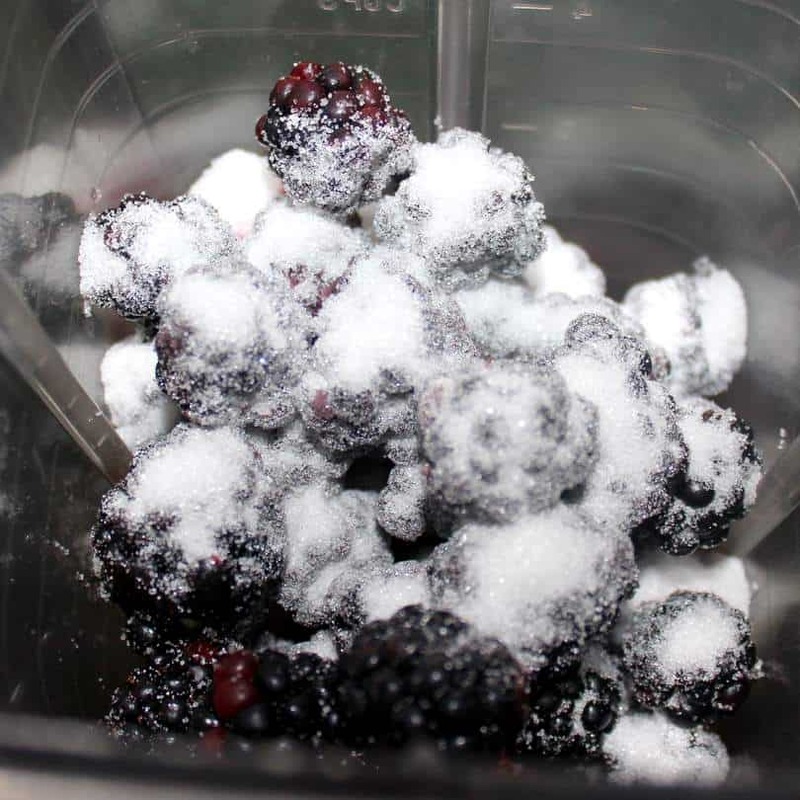 Turn off the heat and allow the soup to cool, before using an immersion blender to purée it. 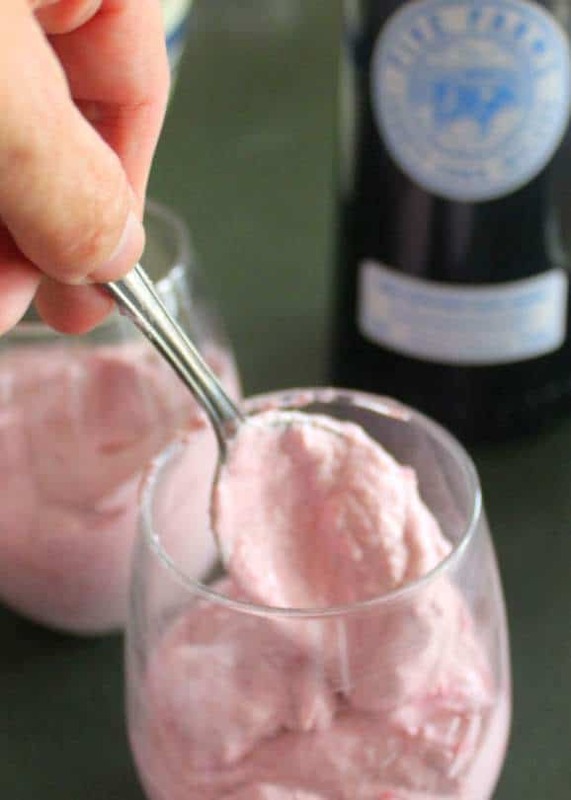 If you don’t have an immersion blender you can whizz it in batches in a blender or liquidizer. Stir in the cream and season with salt and pepper to taste. Reheat the soup to serve. I like a good sprinkling of pepper on this soup, and a little bit of parsley is a lovely garnish. I hope you enjoy this easy soup. It has a very creamy texture, and is not a gritty potato soup. Brown bread is the perfect accompaniment to a good bowl of Irish soup. 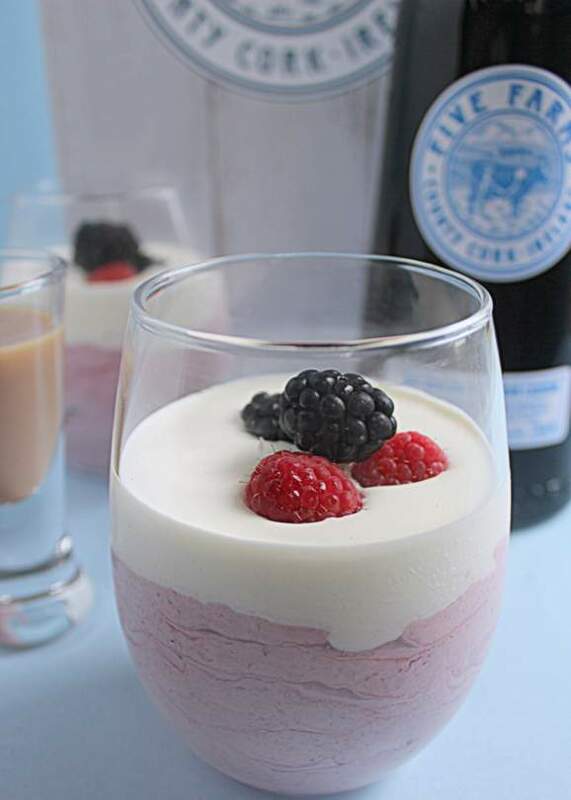 Here’s the printable recipe using American cup measurements. Peel and dice the onion and potatoes. Add the onion and cook for one minute coating completely in butter. Add the potatoes and toss well with the onion and melted butter. Cover the saucepan and sweat the vegetables for 10 minutes, shaking the pot every few minutes to prevent sticking. Pour in the stock and simmer the soup for 20 minutes until the potatoes are tender. 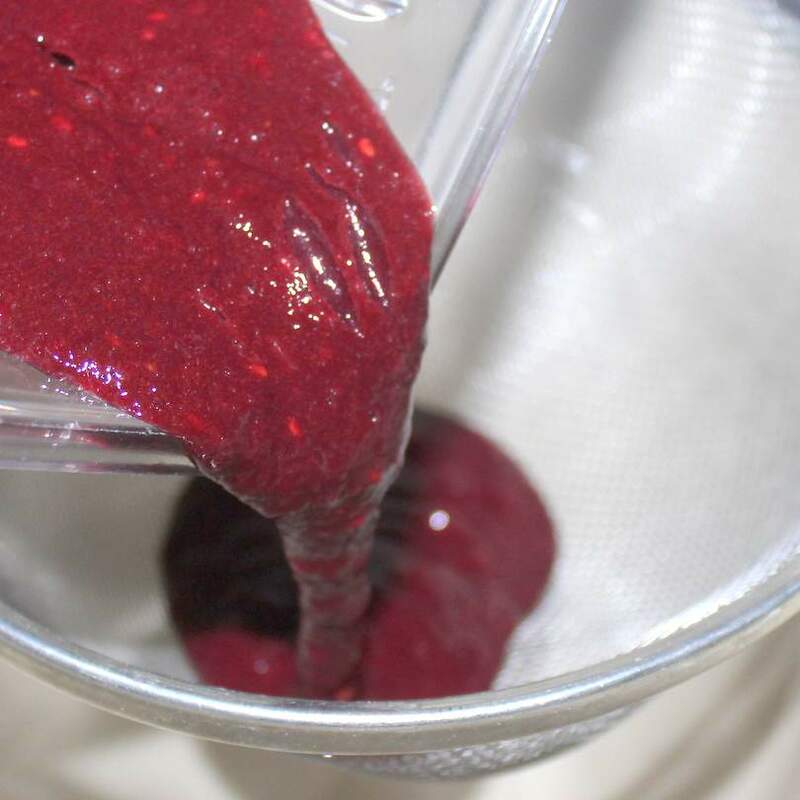 Turn off the heat and allow to cool, Purée the soup using a hand held blender or in batches in a blender. 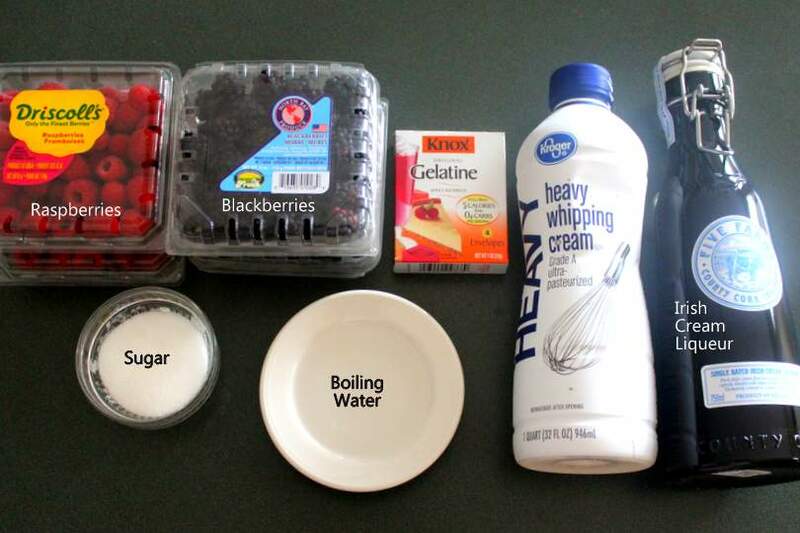 Add the cream and mix well together. Reheat to serve, and garnish with a swirl of cream and parsley. Here’s the printable recipe for those readers who use either the imperial system or the metric system for measuring ingredients. 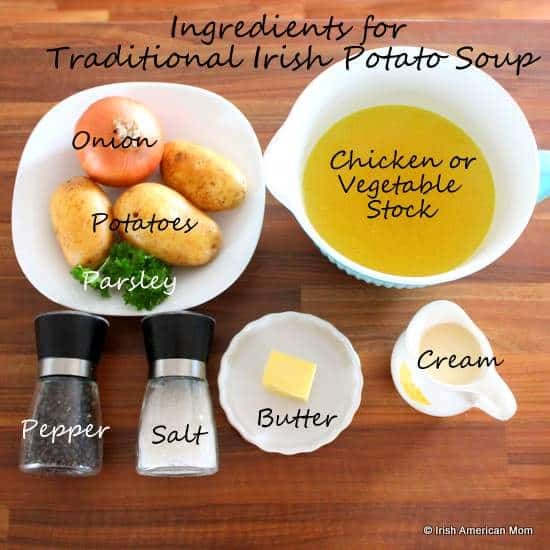 Traditional Irish potato soup uses simple ingredients - onion, potato, stock, butter, cream, and salt and pepper to season. 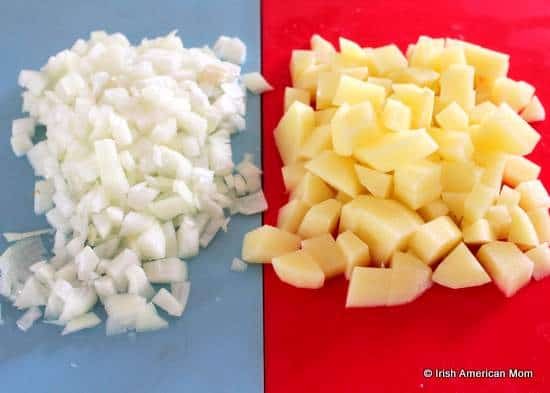 Step 1 Peel and dice the onion and potatoes. Step 2 Melt the butter in a large saucepan. Step 3 Add the onion and cook for one minute coating completely in butter. Step 4 Add the potatoes and toss well with the onion and melted butter. Step 5 Cover the saucepan and sweat the vegetables for 10 minutes, shaking the pot every few minutes to prevent sticking. Step 6 Pour in the stock and simmer the soup for 20 minutes until the potatoes are tender. Step 7 Turn off the heat and allow to cool, Purée the soup using a hand held blender or in batches in a blender. Step 8 Add the cream and mix well together. Step 9 Season with salt and pepper to taste. Step 10 Reheat to serve, and garnish with a swirl of cream and parsley. Happy soup making to all!